At that time, Google noted that the change would affect a small percentage of global queries, but they did encourage all website owners to implement HTTPS. Since 2014, there has been a major push to implement HTTPS across the web. Millions of websites use it instead of HTTP. If your company website is not using HTTPS, it’s time to switch. First, you type “http://google.com” into your web browser’s URL bar and press enter. Next, your computer sends a request to Google’s server to load the page using HTTP and the server receives your request. Subsequently, Google’s server sends your computer the code to load the website. Finally, your computer receives the code and the page loads in your web browser. All of this back and forth takes place over HTTP. If you’d like to know the technical definition of HTTP, Cloudflare has it here. Before the push to move the web to HTTPS began, HTTPS and SSL certificates were mostly used to process credit card transactions. Now, HTTPS is used for all internet communications. In other words, the internet needs more security and Google decided HTTPS Improves Google Rankings. Now let’s determine whether or not your website is using the HTTPS protocol. First, type https:// followed by your website’s domain name into the Chrome web browser. If your website is hosted on a web server with a SSL certificate installed, you will see a green padlock. 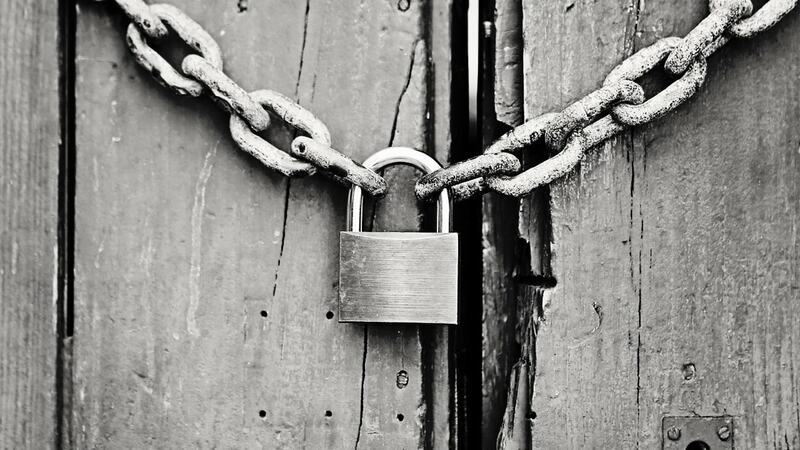 Try testing your website’s HTTPS/SSL connection at https://www.whynopadlock.com. Their site scans your website, then provides detailed results about your configuration. 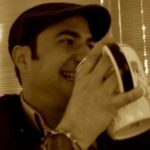 Is Your Website Still Using HTTP? If your website still uses HTTP, chances are it ranks lower than competitors who use HTTPS. Because HTTP is less-secure than HTTPS, there is no longer any reason to use it. HTTPS improves your Google Ranking. For those reasons alone, it’s time to switch. SSL certificates are significantly cheaper than they used to be. 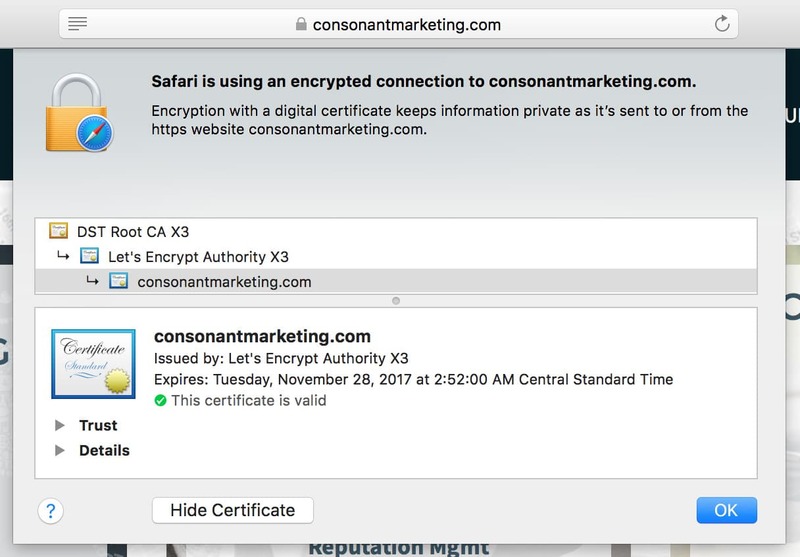 Multiple website hosts, including Consonant Marketing, offer SSL and HTTPS to their clients running basic websites for free. If you’re looking for help, give us a call or send us an email. We make it painless!